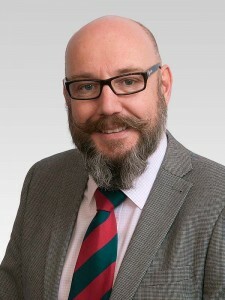 Leigh is the County Councillor the Bridgwater South Ward that takes in Hamp & Westover and also the Town & District Councillor for the Bridgwater Dunwear Ward. Leigh Redman has lived in Bridgwater all his life, attending Sydenham School. He completed an apprenticeship at Hinkley Point and has worked locally for a great part of his life, currently working as a Contract Manager throughout the Westcountry. Leigh was a Retained FireFighter for over 20 years at Bridgwater Fire station until forced to take ill health retirement following a serious accident that saw him suffer a broken back, he was a union rep for the Fire Brigades Union fighting for the rights of all. He is a member of the SWTUC, Bridgwater Trades council and chair and trustee of the Eastover community and sports trust. Leigh lives in Hamp Bridgwater with his Wife Tracey and Daughter Holly. Leigh was born in Bridgwater at Mary Stanley and has lived in the town all his life. Leigh was opposed to the disgraceful way the Tory led District council allowed the demolition of the Splash, pushed through the Tesco development without listening to the people of the town, he wants to fight to help build Bridgwater back to its previous best. Leigh was elected to Town and District councils in 2011, he was instrumental in forcing the County council to climb down from its plans to close the Rollercoaster, gaining a 2 year extension for the young people of the town. He worked closely on the EDF application forcing EDF to honour the replacement of the football pitches that are having to give way for the new accommodation blocks they plan for the Cellophane site. Leigh made a speech during the open floor hearings that highlighted the massive impact the loss of the Sports and social club would have on the users and wider community that is Bridgwater.